It’s not every day that we get a photo like this with the brief note, “My tattoo.” But there it is! 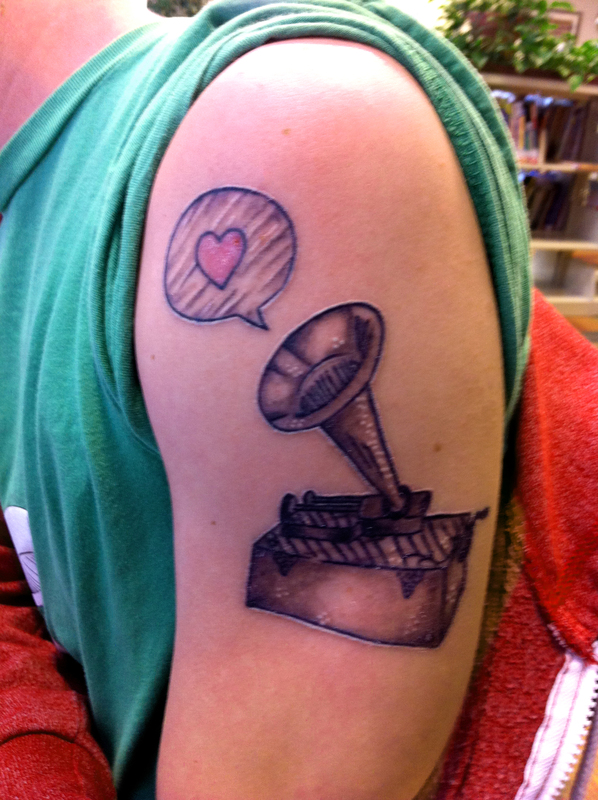 The Hype Machine phonograph and speech bubble, looking glorious. Come party with us at SXSW this Friday! 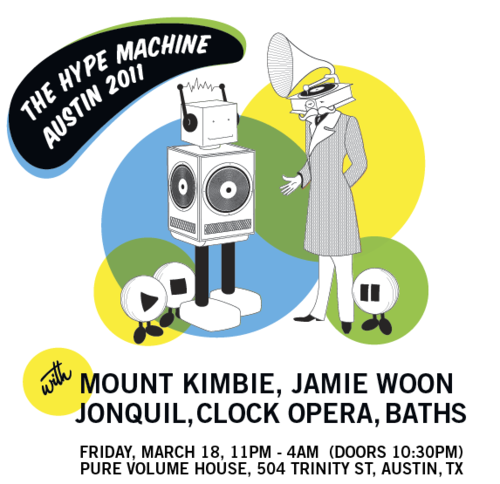 Check out Mount Kimbie, Jamie Woon, Jonquil, Clock Opera, and Baths at our After-Hours showcase. It’s going to be awesome.